What a wild ride my pantry has taken me on over the last six months! I’ve gotten a few great questions about how things have been working for us, so I thought I’d do a little update post with some current UNSTAGED photos. 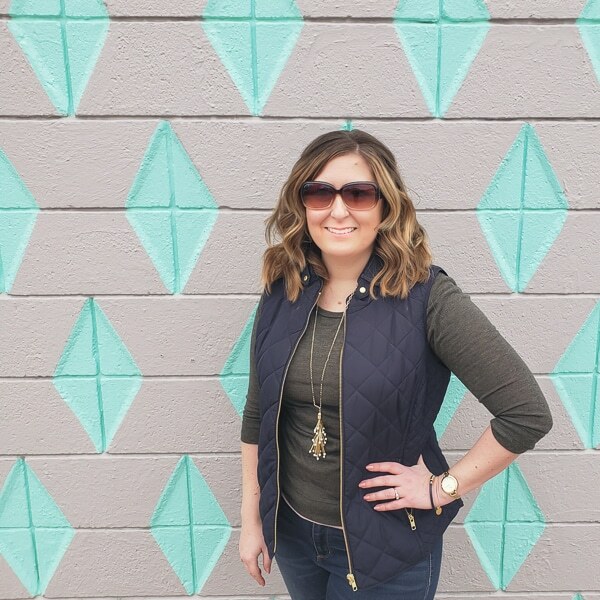 It also gives me a chance to brag about some of the fun features the pantry has received and talk a little about the negativity such features bring. So many bloggers were kind and included the pantry in round ups of their favorite ORC makeovers. Since then, blogs I am in awe of like IHeartOrganizing and 11MagnoliaLane have done features (pinch me!). The coolest and yet most disturbing thing to come out of the pantry makeover was a write up on Good Housekeeping’s website. They wrote an entire article about me. What??? I didn’t know it was coming, so suddenly seeing a bunch of traffic from goodhousekeeping.com was an amazing surprise. It actually felt like an out of body experience! 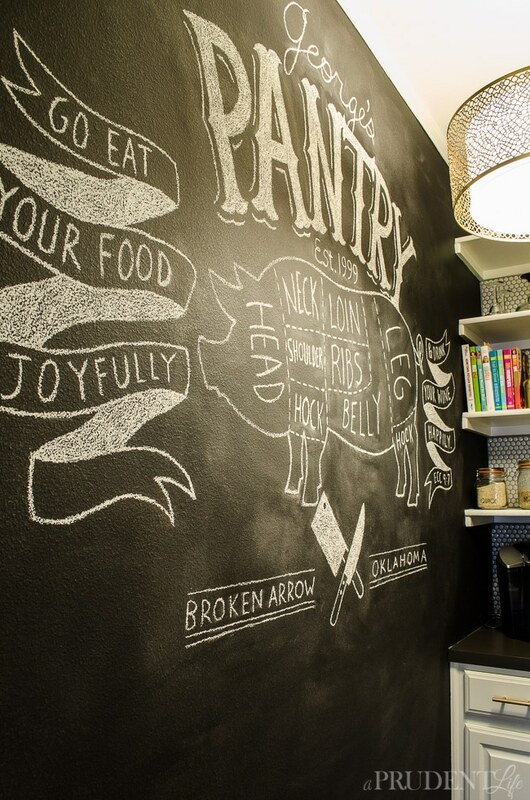 I made the big mistake of reading what their followers thought of the pantry. My goodness people can be mean and judgmental. I think the comments hurt more because I had poured everything I had into this space. It wasn’t a 15 minute project, it was the first space that really reflected me. The fact that the comments were overwhelmingly negative was a downer on what should have been a very happy day. I read that I was rich and spoiled (trust me, I would NOT have tiled that wall on my own if I was rich and/or spoiled). I read that I “cheated” because cookbooks were missing (obviously that was just ridiculous because everyone should purge when they organize, but multiple people said it). I read “it must be nice” (yep, it is, working hard and seeing the fruits of your labor IS nice). I read that I never cook (wrong again, I should have invited some of them to dinner). 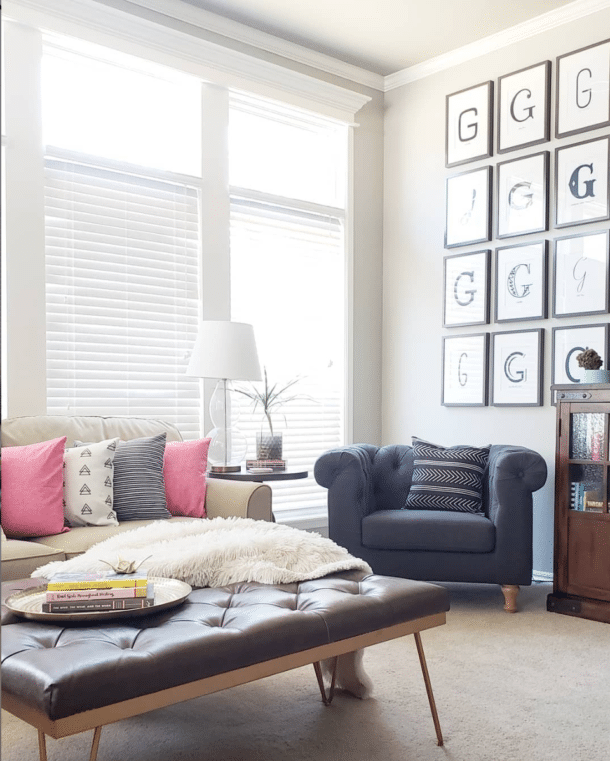 I read that it would never stay pretty and organized and that it was clearly “staged” for photos (yep, it was staged for photos, that’s why it was picked up by Good Housekeeping to BE featured). But it was also designed to be easy to keep organized every day. I don’t expect everyone to like everything I do, we all have unique styles and tastes. I could live without them telling me they hate things, but really, that is still a valid opinion. What I didn’t understand was people not liking things for reasons that aren’t reality. It made me think about all the inaccurate snap judgments many of us make every single day when we see snippets of life on social media. I don’t think I ever have or ever will blurt out my snap judgments back at people, but my thoughts are not always filled with sugarplums. Reading all the totally inaccurate things people assumed about me made me acutely aware of thoughts I’ve had that were probably wrong. Ever seen someone on a amazing vacation and snidely thought that they probably put it on credit cards? I have. So petty and immature. But it tricks me into not being jealous because I can tell myself we choose not to do a credit card vacation and that’s why the random person is on a beach and I’m not. It may be true, or it may not, but either way it’s ridiculous and none of my business. Recognizing these thoughts as harmful is huge. How much happier would I be if I didn’t try to over-analyze things I see and instead focused on what brings me joy? If you’ve ever read more than meets the eye into photos or limited interactions with people, I challenge you to step back and remember you may be right, you may be wrong, but the assumptions serve no positive purpose. If I want to be on the beach, I need to prioritize being on the beach.Spending less, working extra, whatever it takes. It’s in my control and has nothing to do with the innocent people sharing their joy in photos. In fact, I should be HAPPY they scouted out whatever beach they are at and reported back how great it was. My challenge to you is to be aware of any negative assumptions you are making about people. Switch your thinking to something positive if it happens. Let’s all be a little bit happier this week! 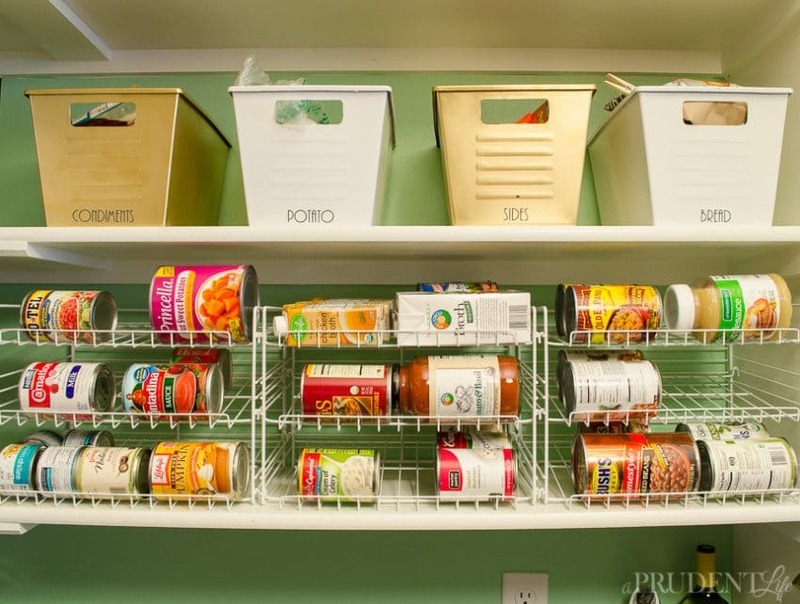 That concludes the sermon portion of this post, let get back to pantry organizing! I’m going to cover all the questions I remember getting, but if I miss something you are curious about, let me know and I’ll add it. How are the Dollar Tree painted bins holding up? Pretty good! I think they actually would have been even better if they had time to cure for a few days before I put them into use. Two of them chipped in the first couple days, but I haven’t noticed anything since then. You can see the spot on the front of the gold bin below. The other flaw is on the side of the white bin on the left. I’m sure I’ll touch them up at some point, but they are both pretty minor issues. I’d do it again for sure. 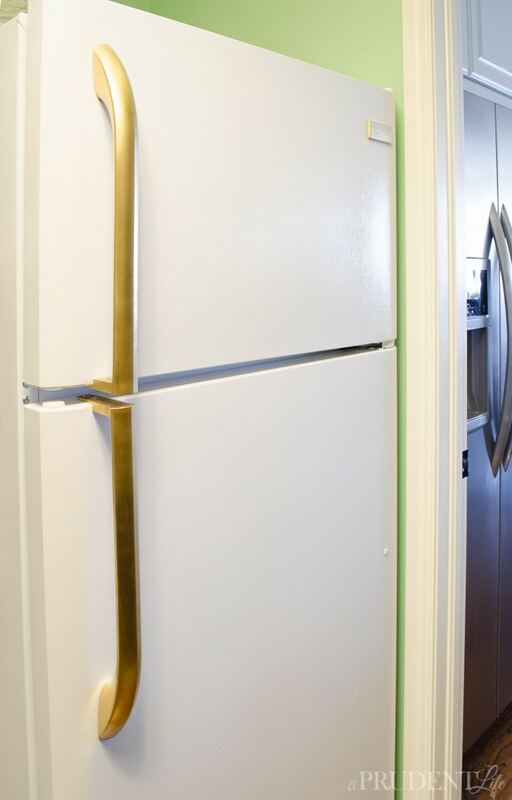 The fridge handle is still looking good too. Minus some fingerprints…someone should clean that! 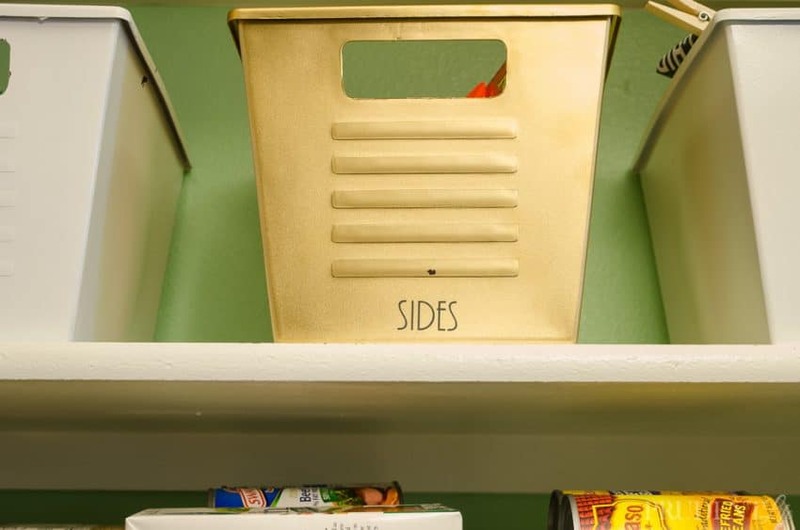 Do you still like the can storage organizers? YES!!! They work brilliantly for us. People seemed EXTREMELY concerned that there wasn’t enough room, but we often have free space. I took the picture below today without any staging. I’m a little concerned that we only have one can of RO*TEL right now, but that’s my biggest problem in this area. I love that boxes of broth and bigger jars fit on the racks in addition to cans. It is SO much easier to see what we have on hand now, even when we are slacking and don’t rotate the labels perfectly forward. 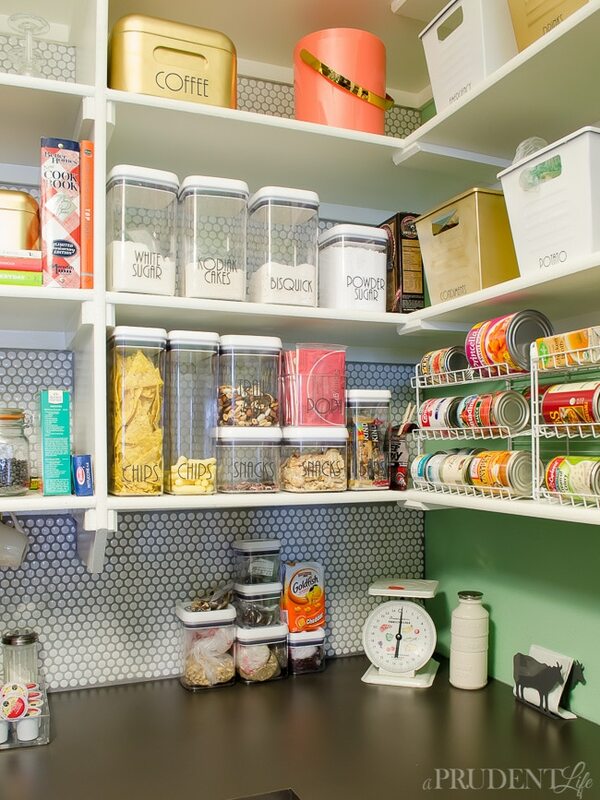 What would you change now that you’ve lived with the pantry for six months? I really loved this question because it made me think! The only thing I’ve changed is adding a few more containers, which I’ve yet to label or organize on the shelf. The additions were needed because we started eating and shopping differently. Buying more from the bulk bins at Sprouts meant I needed more containers to avoid tons of bags all over the counters. The only thing I did to “stage” the photos today was wiping down the counters and putting my nephews Play-doh mat and cutters away. Even though I’ve got a couple extra boxes of pasta and obviously need to do the dishes because some coffee cups are missing, the space is still as organized as it was on day one. Spending the time to really plan out an organization project makes all the difference in the world. In fact, the rest of the house is pretty cluttered at the moment. We are not naturally neat people. 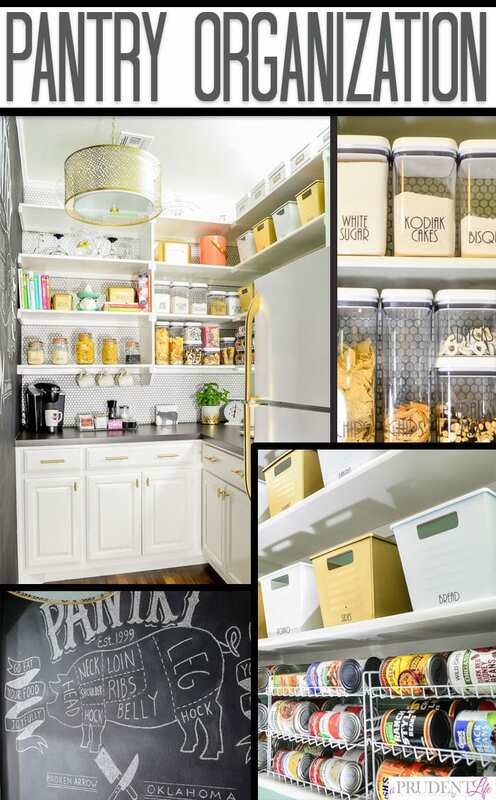 But with a clear system, we’ve at least got a neat pantry! So far, I’m also still happy we didn’t seal the chalk mural to make it permanent. We haven’t accidentally messed it up yet (knocking on my wood desk now)! Now Let’s Chat: What questions did I miss? Can you think of a time you’ve made assumptions when you shouldn’t have? Sorry it took me so long to answer – I thought I had answered previous and just found that I hadn’t! Kodiak Cakes is the best waffle/pancake mix ever! It’s a just add water product, so perfect if you ever cook while traveling. We bought it originally when we were going to stay in some cabins. It’s 100% whole grain, but more importantly, we LOVE the taste. We get ours at Target, but Amazon sells it too. I just found you on Pinterest. 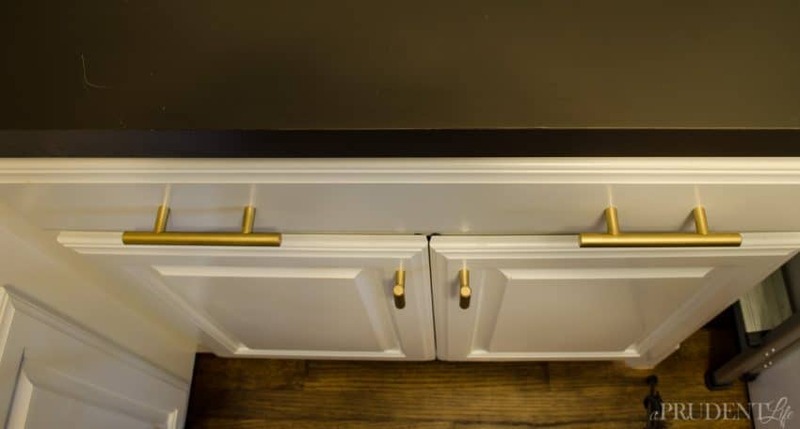 Thanks for the inspiration to paint hardware – I wouldn’t have thought of it and LOVE the idea now that I’m redoing my kitchen. So sad that there is jealousy and people are unable to be supportive and embrace other’s success. I’ve been told that my home is “Too nice to really live in” – I ‘really’ live in it and I think I’m worth it being as beautiful as I can make it. 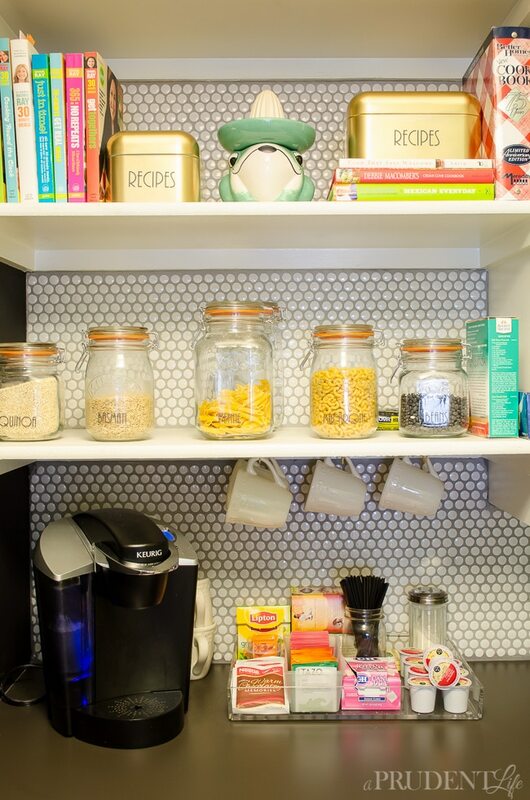 And also that “your cupboards are so neat because you don’t have children” – Or they are neat because it’s important to me and I take the time (constantly) to make them neat. I have anxiety and people don’t know that it’s less stressful for me to be organized and have everything in an assigned place – it also is aesthetically pleasing. I think your pantry is beautiful. I think the time and effort you put in has paid off. I think you deserve the most wonderful spaces you are able to create and afford. I look forward to seeing more of your ideas and hope you get featured again in another wonderful magazine. Oh. My Gosh. It’s like you were listening in on a conversation I was having with a friend (who’s also a blogger) last night! We totally agree that we are “real” people and live in our homes the way we show them. It makes us nuts when people think we aren’t real, are just lucky, and/or don’t enjoy our homes because they are too perfect (their words, not ours). We find great peace and pleasure in living in pretty, organized spaces. It’s so fascinating that we all spend SO many hours inside our homes and that people would be okay living in undecorated chaos. It stresses me out! I feel like I can take on the world when things are organized and pretty, but like I just want to stay in bed when they are a mess. Thanks so much for your sweet encouragement this morning! Yes, yes, yes! And by the way, if I took a picture of my kitchen to publish on a blog / magazine, I would definitely do washing or tidy it to make the shot look better. It’s a little thing called PRIDE.